Veronica: ARE YOU READY FOR BLACK FRIDAY? We have an amazing deal for you!! 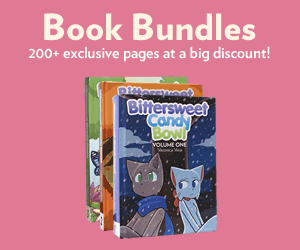 It’s THE $89 FOR EVERY BCB BOOK EVER INCLUDING THE NEW ONE deal that is on the Kickstarter right now! You heard us! Only five days left! Better do it if you were about to forget! yeah!!!! number one rule of driving!!!!!!!! don’t drive when ur emotional!!!!! pull over until ur calm!!!!! !